Mouser Electronics now stocks Intel RealSense D400 series depth-sensing cameras. 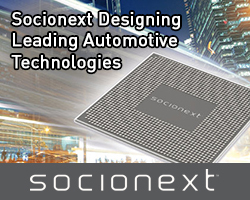 They are built specifically to help embedded systems sense, understand, interact and learn from real-world environments. 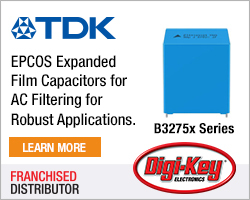 The series consists of ready-to-use cameras, depth modules and vision processors that deliver embedded depth-sensing technology, real-time processing, and high-speed 3D imaging that is versatile and robust for a variety of indoor and outdoor applications, says Mouser. The Intel RealSense D400 product family includes two depth-sensing cameras: the D415 and D435. Both incorporate the latest Intel RealSense Vision Processor D4 to handle the complex depth algorithm, and use stereo image sensors to capture and calculate disparity between images. The D415 camera features a rolling shutter stereo camera pair, standard infra red (IR) projector and a full HD RGB camera suitable for stationary and slow-moving applications. The D435 camera features a global shutter stereo camera pair, wide IR projector and a full HD RGB camera, making it more suitable for virtual reality (VR) or robotics applications. Both cameras deliver low light performance with less than one lux minimum sensitivity and use a USB 3.0 connection with power over USB. Both also offer a depth stream output resolution of up to 1280 x 720 pixels with a frame rate of 30 frames per second. 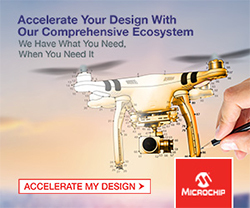 For higher volume embedded applications, Intel offers the Vision Processor D4 and Depth Module D400 Series, also available from Mouser Electronics. The compact Vision Processor D4 computes high-resolution 3D depth maps in real-time without requiring a dedicated graphics processor unit (GPU) or host processor when paired with RealSense Depth Modules. The D400 Depth Module series can capture indoor or outdoor environments with long-range capabilities, high-depth resolution and IR stereo. Options available include standard or wide field of view, rolling or global shutter technology and passive or active IR depth sensing. 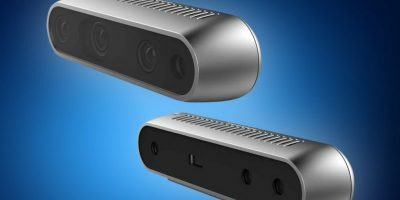 The Intel RealSense Depth Camera D400 product family is supported by a cross-platform (Windows, Linux, macOS) and open-source software development kit (SDK), which features libraries, wrappers, computer vision sample code and tools to help designers start coding projects and debugging camera settings. Designers can also download the Intel RealSense viewer for use with either the D435 or D415 Depth Camera to evaluate the D400 product family.